It’s now been 24 hours since World of Hyatt mostly gutted their Cash & Points feature, now charging a variable 50% of the daily standard rate plus the existing fix mileage amounts so how does it look like? 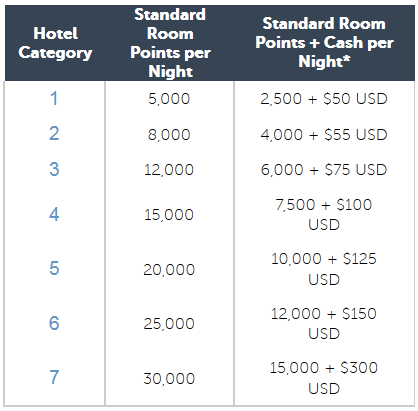 The cash & points redemption option has become largely useless as soon as we’re talking about expensive hotels or peak seasons where base rates are naturally higher. You can access Hyatt’s website with new tables displaying all the changes here. Here as a comparison the previous model: The positive characteristic of an award program is that you can use the points flexible and without any jumps in price irrespective of when you actually travel. 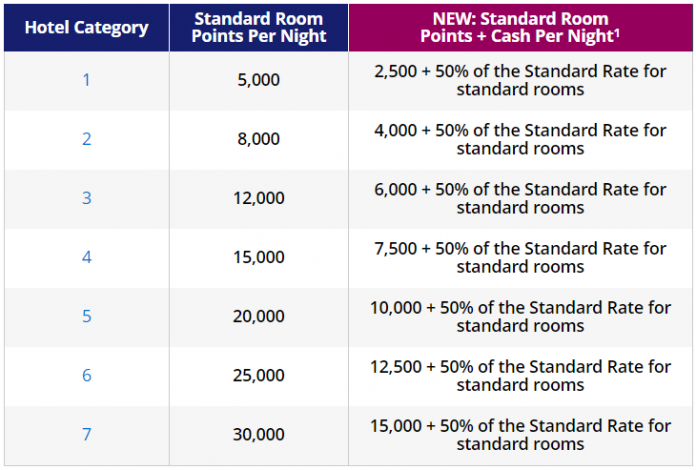 This new mechanism to tie the cash portion to the daily rate is pretty much a disaster for the more expensive hotels and those can already start as low as category 2. The cash portion for this particular stay is $68 compared to $75 previously. $7 less, however $115 is the lowest rate I’ve ever seen at the Grand Hyatt Bali. It usually runs between $159-$229 per night. Another thing I don’t understand is why Hyatt doesn’t at least base their pricing on the lower Member Rate and rather on the Standard Rate. The Grand Hyatt Tokyo under Cash&Points went up from $150 cash supplement to $208 (35% more) and this was one of the cheaper dates as well. Park Hyatt Tokyo went from the already rich $300 supplement 33% UP to $399 and this was once again a rather low daily rate. It simply doesn’t make sense to use cash&points in such a case. Why would you value 15k Hyatt points at $399 when in reality it’s worth a third of that? Don’t do it, just book for the full 30k and without any cash supplement. One really has to compare the current rates now before deciding what kind of award makes any sense at all. At a rate of $115 a night at the Grand Hyatt Bali for example I wouldn’t use any award whatsoever and just pay cash for the entire stay, keeping the points to book a full points award during peak season at various hotels such as the Tokyo properties. Not sure what exactly pushed Hyatt to make these changes especially since the program has been severely cut down in the most recent past already. 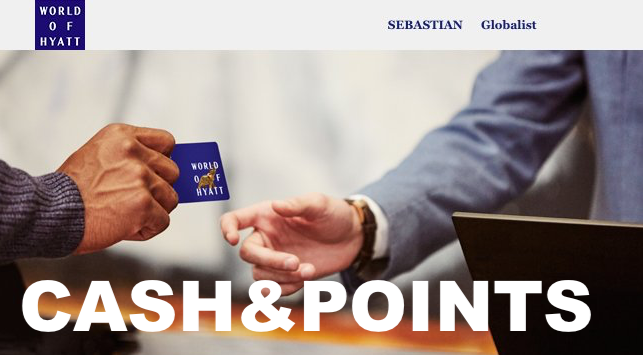 Why does Hyatt constantly feel the need to poke their customers with a sharp stick?